Sitting deep in the Gulf of Mexico, 67 nautical miles west of Florida’s Key West, lies the Dry Tortugas, a seven mile stretch of pristine low-lying islands comprising of the Dry Tortugas National Park. So what it is it that draws people from around the world every year? While they do they look like a photo essay out of Condé Nast magazine, they are also some of the most geographically diverse islands in the world. To give an idea of their uniqueness, only 93 acres of the National Park’s hundred square miles (some 64,000 acres), is actually above water! The other unique feature about this collection of seven low-lying islands is that they’re home to some of the healthiest coral reefs, thriving off of any North American coastline. The idyllic setting lies in complete contrast with the hexagonal Fort Jefferson, a historical fortress from the 19th century, jutting abruptly out of the horizon. There are only two ways to reach the Dry Tortugas, so unlike other attractions on the mainland, you will never feel the pressure of a crowd. Visitors may come by air, in a float plane, or they can come by sea, on a ferry or private charter. The protected shores of the Dry Tortugas provide a haven for egg-laying turtles, various bird species and other marine life. 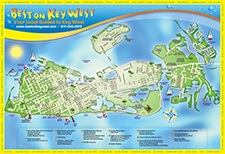 This beautiful blend of geographical oases, exotic array of flora and fauna, and interesting history makes the Dry Tortugas a must-do for anyone vacationing in Key West. 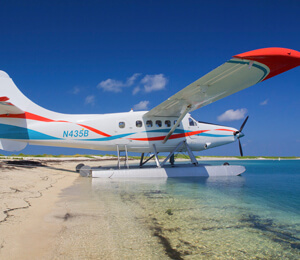 There is no faster and easier way of getting out to the remote and charming islands of the Dry Tortugas than aboard the Dry Tortugas seaplanes! 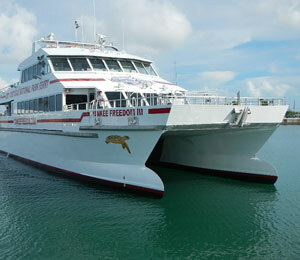 Get to the islands before the crowds to enjoy the gorgeous beaches and teeming coral reef gardens!